One order. One part number. Everything you need. The robust, long-wearing HIGHWEAR™ blade is paired with all of the accessories and hardware in one package. Simplify inventory planning and ordering with Quick-Kits. One part number includes everything you need. Genuine VBL HIGHWEAR™ BLADE in easy-to-handle sectional or super rigid one-piece model. 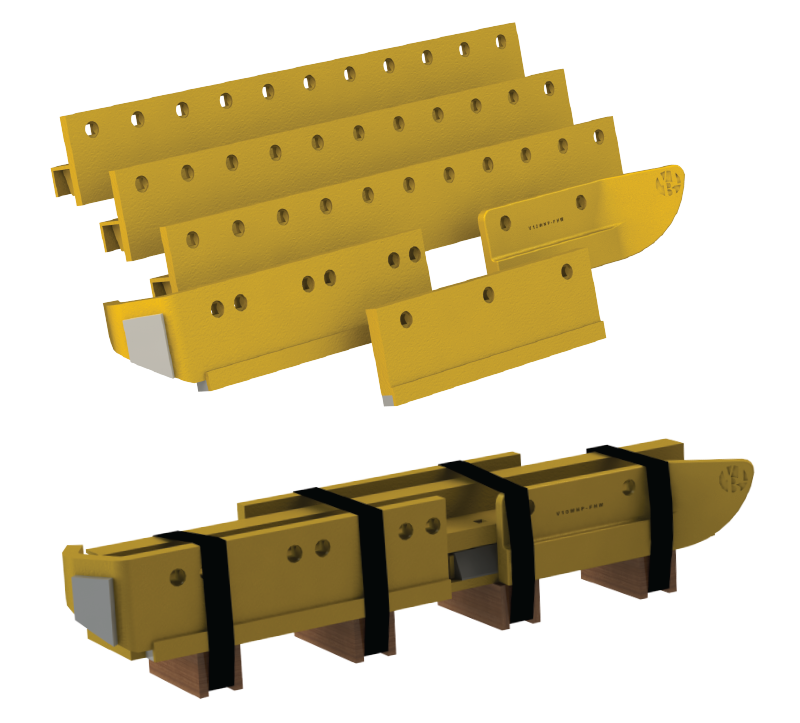 Heavy duty NOSE PIECE* — a critical safety feature on plows and a VBL exclusive for wing applications. Hard-faced “wrap around” CURB RUNNER* for plow protection and increased wear life. Life-extending CENTER GUARD to help balance and extend blade wear life. All required grade-8 plow bolts, washers and locking nuts.